Last week it was announced that Marketo won the Stevie Award for ‘Demand Generation Program of the Year’. They submitted a case study about ShipServ, a global e-marketplace for the shipping industry (details below). Thanks to Marketo’s Lead Management software, ShipServ was able to send more email campaigns in less time. As a result of that, the number of opportunities per 100 contact requests increased from 3 to 11, almost a fourfold increase. The Stevie Awards for Sales & Customer Service (formerly the Selling Power Sales Excellence Awards) honor and generate public recognition of the accomplishments of sales and customer service professionals professionals worldwide. Last year’s winner was Eloqua, who had submitted a case study about their own internal demand generation processes. The Marketo press release is somewhat short on details, but Jon Miller, Marketo’s VP Marketing, pointed me at the ShipServ case study on the Marketo website, which tells the complete story. 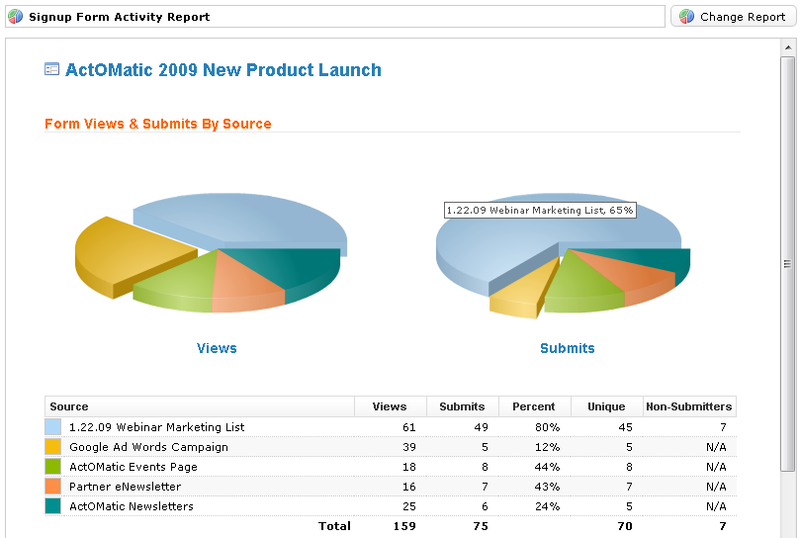 Before Marketo, ShipServ had been using a traditional email marketing tool from VerticalResponse. They found that this did not work well for Lead Nurturing. They had to keep a calendar with reminders for email follow-ups, and then manually create the lists and send the emails. Pretty labor intensive, and from personal experience I know this is not a maintainable solution. With Marketo they can set up automate lead nurture campaigns based on events. An event can be time-based, but also an action by a prospect, for example a website visit or a click on a link in an email. ShipServ uses this to warm up cold leads until they are sales-ready. In addition to converting more inquiries into prospects, and more prospects into opportunities, it has also had a positive impact on the sales-marketing collaboration. For sales it is now much easier to see how marketing is directly contributing to business success. Product-wise, ShipServ appreciated the fast implementation, including an instant-on integration with Salesforce.com: you just enter your Salesforce.com credentials and the rest is automatic. ShipServ summarized the product as “easy to use, easy to administer, and easy to learn”. There may be just as many awards as there are vendors, but in this case I’m genuinely impressed: the case study gives a fair amount of details, and the results are significant. It would be nice to see more competition around these type of awards: according to the honoree list it seems like Marketo was the only finalist. Demand Generation is not about the software, it’s about how you use the software to gain business benefits. Competitions like the Stevie Awards emphasize this, and make it easier to compare vendors, not on features but on actual results. Question to all marketing automation vendors: are you going to submit a detailed case study to the Stevie Awards next year? I’d love to see some competition. This entry was posted in Demand Generation and tagged Demand Generation, eloqua, marketo, shipserv, stevie awards on February 17, 2009 by Jep Castelein. 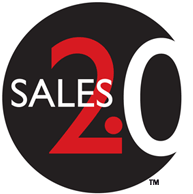 How does Sales 2.0 relate to Marketing Automation? Having applied Sales 2.0 techniques in my own job, I’ve seen that the collaboration between marketing and sales has improved significantly: the sales team now knows what they can expect from marketing. The processes are better defined, and the outcomes are more measurable. Collaboration software for Sales & Marketing teams; includes a strong knowledge sharing component. And then there are a whole range of sales productivity tools (e.g. ConnectAndSell and Xobni) and data vendors (like JigSaw). Also, services vendors are present, from lead generation services to sales training. In addition to interesting Sales 2.0 vendors, the conference has an nice line-up of speakers. This includes Brian Carroll (author of Lead Management for the Complex Sale), Jim Dickie and Barry Trailer of CSO Insights, Judy Fick of Unisys and many more. The event is hosted by Gerhard Gschwandtner of SellingPower and David Thompson of Genius.com. If you want to meet up, please send me an email ( ) or Tweet. Are you planning to attend the conference? It looks like there will be some interesting topics for demand generation marketers, what is your take? This entry was posted in Demand Generation, Sales Force Automation and tagged angoss, birst, connectandsell, genius.com, groupswim, jigsaw, lucidera, marketing, marketo, sales 2.0, sales 2.0 conference, xactly, xobni on February 16, 2009 by Jep Castelein. David Raab took a closer look at InfusionSoft and wrote about it today on his Customer Experience blog. I remember InfusionSoft mainly because of the convincing demo they have on their website: it makes an impressive claim that small businesses can double their sales with InfusionSoft. The key to their approach is an advanced lead nurturing engine, to avoid “follow-up failure”. They claim that the first sale usually takes place after 7 follow-ups, but that most sellers stop following-up after 3 tries. A convincing story, and thousands of customers are using InfusionSoft, so it must be working. This entry was posted in Demand Generation and tagged david raab, infusionsoft, review on February 12, 2009 by Jep Castelein. And then you can decide to search Jigsaw to buy actual contact data of people with the right job titles within company ABC. For those who don’t know Jigsaw: it’s a business card exchange service, so their users contribute and rate the contact details. The result is that the data is reasonably up to date, they have a lot of different job titles (not just C-level and VPs) and it often includes direct-dial phone numbers and email addresses. How does ActiveConversion know the company name of website visitors? Actually, the IP address of website visitors gives away more information than most people realize. Maxmind’s GeoIP product, for example, can identify the city, company name and even the connection speed, all based on the IP address. Try it out yourself: go to whatismyipaddress.com, copy your IP address and paste it into the box on maxmind.com, then press “get location”. 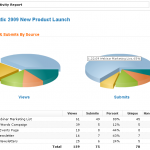 One of the first companies that offered daily reports of companies visiting your website was Leadlander. They can send your sales people a daily email with a list of company names and location. The main challenge that remains: you don’t know which person is on your website, just the company name. So who are you going to call? That’s where the Jigsaw data can help. It’s still a bit of a guess, but at least you have names, job titles and phone numbers. Another vendor is this space is Demandbase. Unlike ActiveConversion they don’t have a full lead management system, but they specialize in identifying anonymous website visitors and providing contact data for people within those companies. They use multiple data sources, like D&B and Hoovers. I’ve not been very lucky finding useful contacts myself: they seemed to have a bias towards C-level and VP-level executives, but I could be wrong. However, Demandbase offers useful filters so you can focus on those website visitors that are important to you. You can enter specific company names or territories. 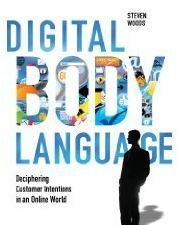 I’m not sure if Demandbase offers this, but it would also be interesting to filter by pages visited and search terms used in Google: that’s all part of the “Digital Body Language”. Still I wonder how actionable the information is. Regardless of whether you get it through ActiveConversion and Jigsaw or through Demandbase: what is the chance that you can actually locate and contact the right person? My gut feeling is that it’s a very low chance. Why don’t they offer an option to chat while they the visitor is still on the website? That is a proven methodology in the consumer space that I haven’t seen very often in the B2B space. Maybe because it’s hard to ensure timely response. As a matter of fact, I used chat on the Jigsaw website last week, and nobody responded, and I waited for 30 minutes. I had a better experience on the Hoovers website, with immediate response and good-quality answers. Alternatively, you could put more attractive offers on your website and promote those more effectively: this will increase the number of registrations. I have seen very few B2B companies actively test and optimize their online conversion rates (other than for PPC landing pages). So that may be a relatively quick win, rather than try to call people who may have visited your website. My feeling at this time: first try to get more people to register on your website by improving the call-to-actions, then add chat if you have enough people to staff it, and only then I would consider real-time lead monitoring. At this time, it’s just not actionable enough. What is your experience with Leadlander, Demandbase and ActiveConversion? Did you actually identify opportunities that you would have missed otherwise? 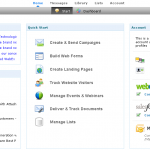 This entry was posted in Lead Monitoring, Live Chat and tagged activeconversion, demandbase, hoovers, jigsaw, leadlander, maxmind on February 11, 2009 by Jep Castelein. What is a Demand Generation System? If I understand it correctly, Laura uses the first definition, while Eloqua – the leading lead management automation firm – often uses the second definition. Also, David Raab publishes the Guide to Demand Generation Systems, covering Eloqua, Vtrenz, Marketo, Manticore Technology and Market2Lead, which clearly fall within the second definition. So my suggestion: replace all instances of Demand Generation System with Lead Management System! Does that makes sense or not? This entry was posted in Demand Generation, Lists & Contacts and tagged Demand Generation, demand generation system, demandbase, eloqua, hubspot, jigsaw, lead management automation, lead management system, manticore technology, market2lead, marketing automation, marketo, phone works, vtrenz on February 9, 2009 by Jep Castelein. Demand Generation Software is a hot market at the moment. 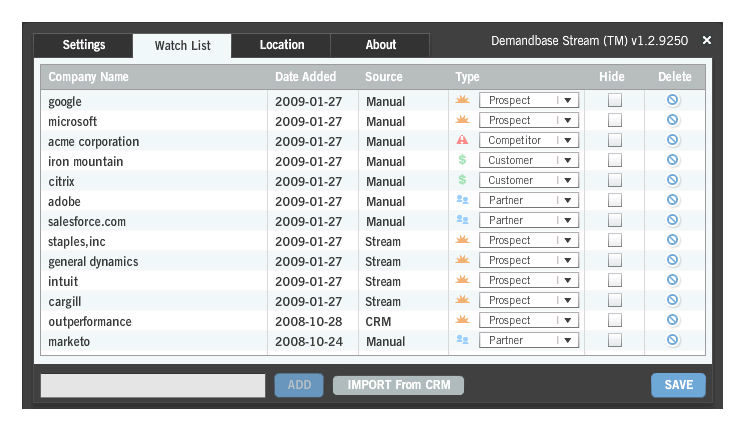 Demand Gen systems can add a lot of value, especially for high-value sales processes. This can be for enterprise software companies, corporate and private banking, but also for ticket sales for sports: I never realized NBA season’s tickets were that expensive! To help you find the right Demand Generation tools, I’ve just updated my list of Demand Generation Systems. 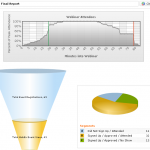 It gives an overview of all Demand Generation vendors that I know of. If I’ve missed some, please let me know and I’ll add them to the list. The list is not meant as a thorough review: for that, you may want to buy the Raab Guide on Demand Generation Systems by David Raab. He recently published a list of low-cost demand generation systems, which may also be interesting. If you’re looking for selection criteria, please take a look at Maria Pergolino’s blog: vendor comparisons part 1 and part 2 (part 3 is not published yet). Last week Laura Ramos of Forrester also gave her view on the Lead Management Automation market, which is also a good read. She does not only mention Demand Generation vendors, but also other marketing automation solution providers. If I look at the long list of players in this market, I’d almost wonder when the first one goes belly up. However, it seems as if the market is booming, and several vendors are reporting record results (for example Market2Lead, Pardot, Marketo, Marketbright). Is it still possible for new Demand Generation vendors to enter the market in 2009? This entry was posted in Demand Generation and tagged act-on, eloqua, leadgenesys, manticore technologies, market2lead, marketbright, marketo, pardot, vtrenz on February 5, 2009 by Jep Castelein. Webinars are a proven way to generate and nurture leads. To make webinars logistics easier, I’d love to see a proper integration between Demand Generation systems and Webinar systems such as Webex Event Center or GoToWebinar (see my comment on Ken Molay’s webinar blog). Today they are separate so you are copying information back and forth, or you have to do an expensive custom integration. I’ve asked around, and today some people use the webinar system to send invitations and reminders and capture registrations, others do most of that within their demand generation system. 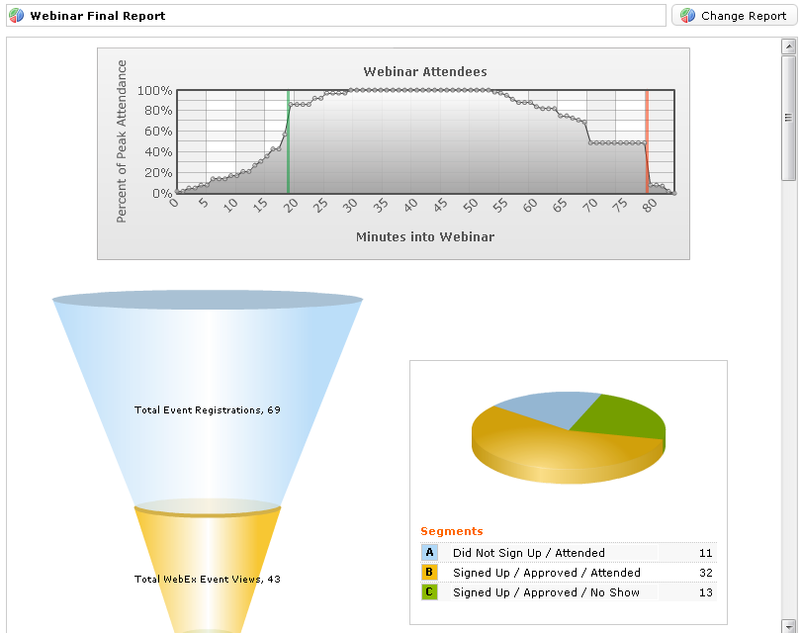 In the first case, you have an integrated process within the webinar system, including accurate reports on attendance. But your Demand Generation system is where you want to create a complete prospect profile, including email clicks and form submits. Also, you may want to export some campaign information (such as attendance) to Salesforce.com. This is often possible, but involves a lot of manual work. In the second case, you capture the prospect information in the right place, but the Demand Generation system is not aware of the Webinar system. Therefore it takes more work than necessary to run your webinar campaign. Today was the first time I saw an actual solution for this problem: Act-On is a relatively new player in the Demand Generation market. However, they come with good credentials: they’re funded by Cisco (owner of Webex), the CEO and engineering team come from Responsys (a leading marketing software vendor) and they have a seasoned executive team. Currently they have about 15 customers, from smaller companies to big names like BroadVision. Their product is focused on small to medium size companies, so they’re not trying to compete with Eloqua or similar high-end products. Act-On Enterprise pricing starts at $500 per month (professional starts at $15 per month). Normally these are silos that are disconnected, and now they are integrated, including end-to-end analytics. You can schedule the webinar from within Act-on (no need to login to Webex), and create a registration page, email invitation, repeat invitation, reminders and follow-up. There are several cool features, such as the automatic inclusion of the webinar details in the email invitation. Also, you can generate dedicated registration page URLs to give to partners or to use in advertising, so you can see the source of the registrations. 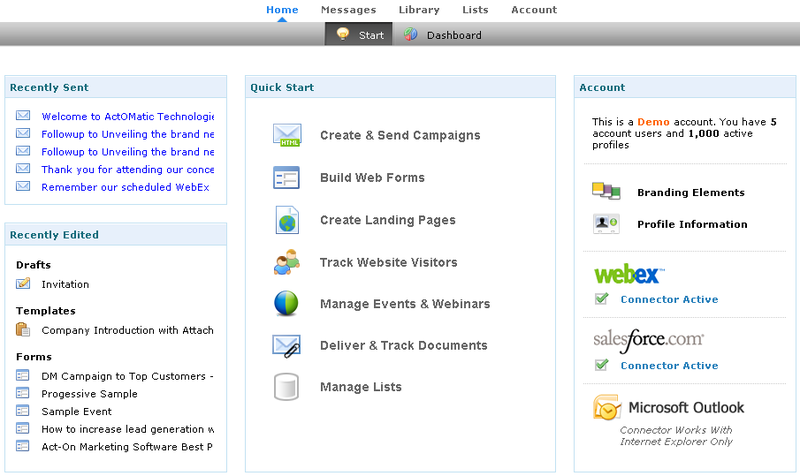 Another useful feature is that it can update the Salesforce.com Campaign status: sent, received, registered, attended. This requires the ‘Marketing’ add-on in the Salesforce Professional Edition. This is by no means a comprehensive review of Act-On, it is based on a short demo. However, I was impressed with the breadth of functionality, the ease of use, and the unique webinar integration. So take a look at it when you’re looking for a demand generation system and you do a lot of webinars. I’ve also added them to my list of Demand Generation software vendors. Is webinar integration the next required feature for Demand Generation systems? This entry was posted in Demand Generation, Webinars and tagged act-on, Demand Generation, review, webex, webinar, Webinars on February 4, 2009 by Jep Castelein.